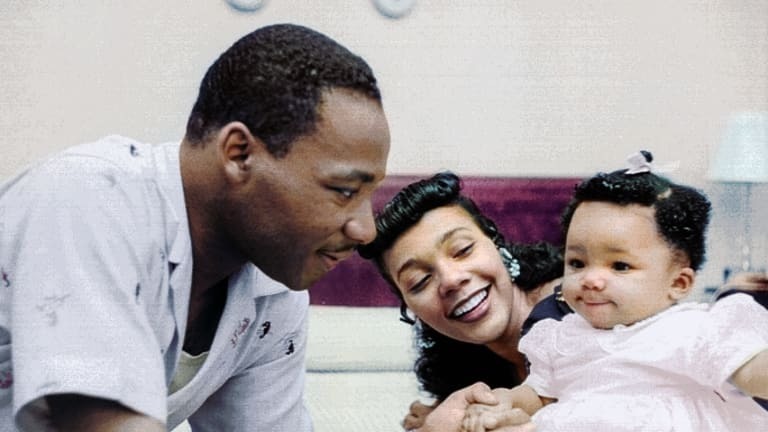 In May 1956 the Reverend Dr. Martin Luther King, Jr. posed for a set of photographs at home with his young family in Montgomery, Alabama. It had been an eventful few months in the 27-year old pastor’s life. 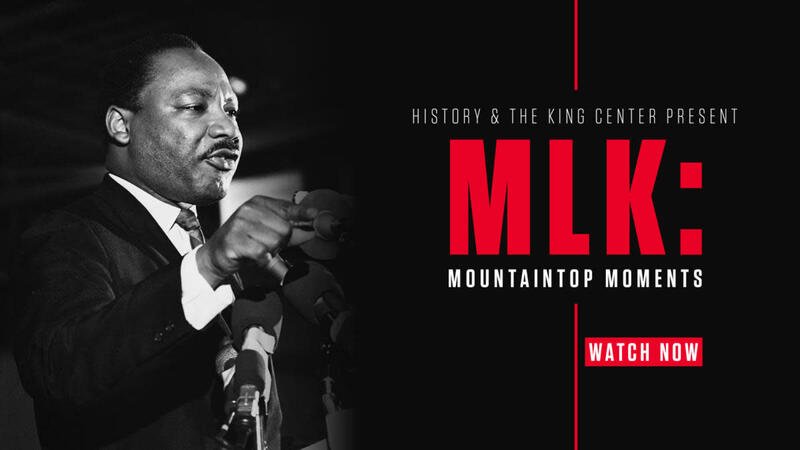 The previous year King had finished his PhD at Boston University, and moved with his wife Coretta more than a thousand miles south to Montgomery. There they set up in a modest, white-panelled house, a perk of King’s new job as pastor of the Dexter Avenue Baptist Church. 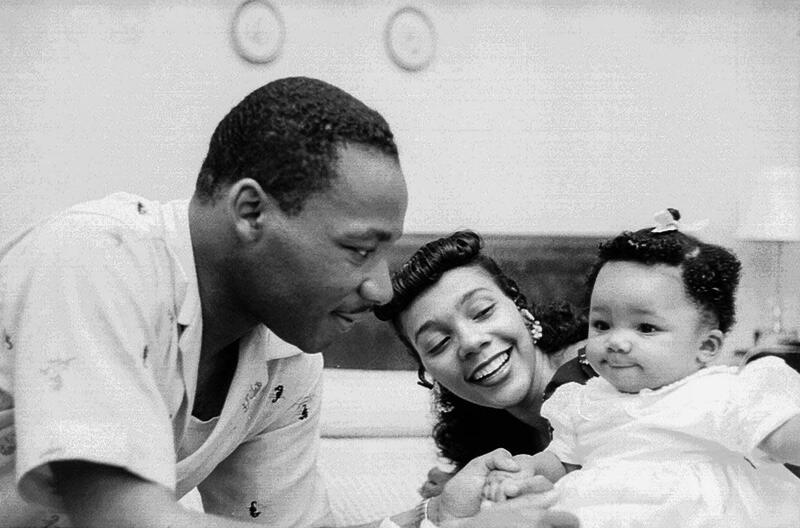 The couple soon made it a family home, and on November 17th Coretta gave birth to their first child, Yolanda (pictured here as a baby). But ten weeks later, at 9.15 p.m. on January 30, 1956, the Kings’ house was bombed. King was out when the bomb went off, and neither Coretta nor Yolanda was hurt. Still, the message was clear. The bombing was retaliation for King’s role in the Montgomery Bus Boycott, an organized refusal by black residents to ride the city’s buses, which had grown out of the seamstress Rosa Parks’ refusal to give up her seat to a white commuter. The portrait deliberately projects a moment of happy intimacy between three people joyful even under the threat of death. Who took this photograph is no longer known; it has been colorized with reference to later pictures of the family. 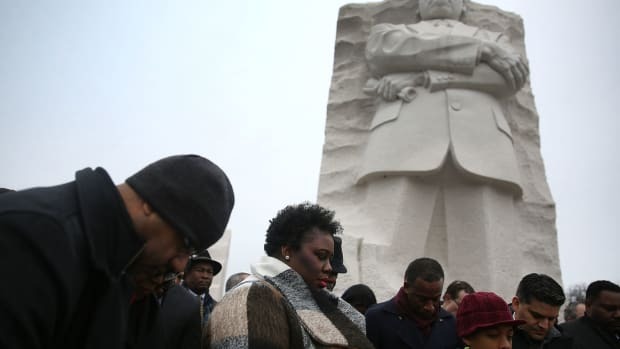 The casually dressed Dr. King seems a world away from the careworn figure of the 1960s, when the Civil Rights movement reached a crescendo and he assumed an intense position of national importance. 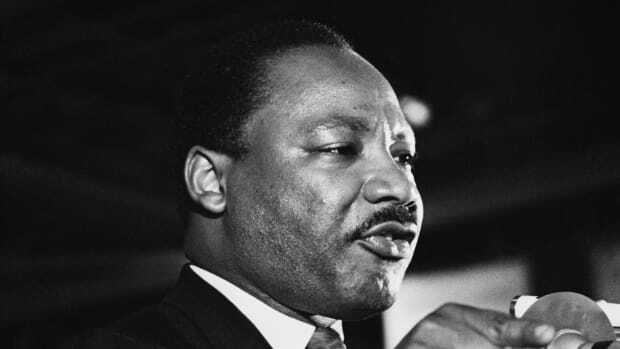 From his pulpit King had begun to preach a doctrine of non-violent protest, civil disobedience and mass demonstration against discriminatory “Jim Crow” laws, which segregated whites and blacks everywhere from schools and shops to bus seats and water fountains. 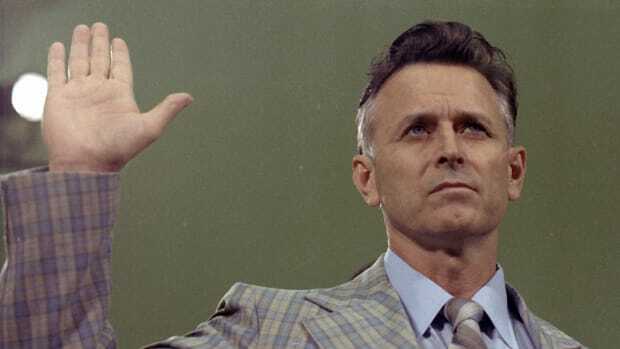 There could be few more dangerous places to preach this doctrine than Montgomery, which had briefly been the capital of the Confederacy during the Civil War and where, ninety years on, white supremacy and racist ideology still thrived. 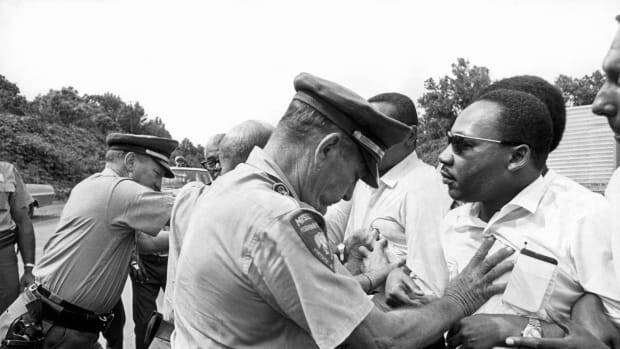 When this photograph was taken, many of King’s greatest moments still lay before him: the Birmingham protests, the March on Washington, a Nobel peace prize, his tireless opposition to the Vietnam War. And, of course, his death. 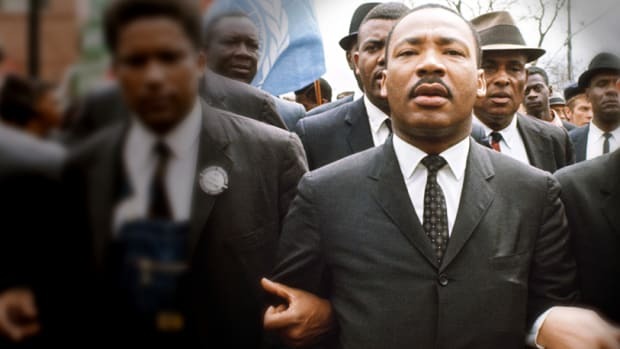 On April 4th 1968 King was gunned down, just like his idol Gandhi.